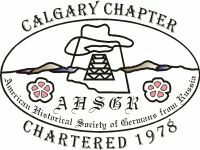 Calgary Chapter 40th Anniversary Conference(9am-3:15pm) & Banquet(5pm). reserve tickets(pick up at door) is October 12. 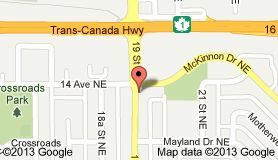 Phone: Adena at 403-273-8178 or . will speak about the "Stories Project". provided by the society. Bring an item for the bake/craft sale and/or dessert table. Program: The Bell Choir will provide entertainment and there will be games and carol singing. Saturday, January 26, 2019 Hot Potluck meal at noon. FOOD DEMO: 11 a.m. - Flapper Pie. talk on it. Tickets ($20) will be available for the February 23rd Annual General Meeting. Saturday, February 23, 2019 Annual general meeting with annual reports by the executive. Doors and library open: 10:30 a.m.
FEBRUARY 15, 2019. Phone: Adena at 403-273-8178 or . to keep it healthy and vibrant. We need your help!! There are no elections scheduled this year. We will have a tour of our Chapter library at 12:45pm for those that are interested. Saturday, April 13, 2019 Library and doors open:10:30 a.m. Lunch: 12 noon, Potluck. Program: 1:00 p.m. - GERMAN FROM RUSSIA HUMOUR - Presented by Joe and Linda Elder. Tickets ($20) will be available for the May 25th Meeting. Saturday, May 25, 2019 Library open: 10:00 a.m., doors open: 11:00 a.m., Meal at noon. at 403-273-8178 or . Program: German Russia Games. REMEMBER TO SHARE THIS INFORMATION WITH YOUR FRIENDS AND RELATIVES!